Whether it be mounting your flat screen TV onto plasterboard, cavity wall, brick, chimney breast reconstruction or wire concealment, including in your bathroom or other special locations including the garden or garden rooms, we can offer the total package to suit all budgets and size of TV’s from 19 inch to over 50 inch TV’s. You can be safe in the knowledge that your TV will be wall mounted securely by experienced and professionally trained engineers. Here at ISS Home Installations we can provide you with brackets – either flat to the wall, swivel arm, motorised cantilever or ceiling mounts to HDMI/Scart leads to complete your installation, with our fully stocked vans we can offer from budget to high tech/high quality products, taking the stress out of the installation process, all our products come with a guarantee. We can also help set up and tune your TV and integrate all your existing equipment if required. We will give you a demonstration of how everything works at the end of the job, to ensure you are happy and feel confident once we have gone. We offer our customers different options for different finished looks. If you require your cables to be surface mounted or hidden our concealed wiring technique to hide all cables ensures minimum fuss and minimum mess. For surface mounted cables a cable management wizard is the most cost effective way for having a tidy finish. Our premium service whereby the cables are concealed into the wall, uses our diamond drilling technique which here at ISS we have perfected over the years. Our expert team can help you choose the most suitable projector system for your home from basic presentation projectors to advanced high end theatre systems. We can advise on the best positioning and look for the room and we will help you find the right solution for your budget. We will also give you a fully comprehensive demonstration of your system so you feel confident to use it once we have left. We can install waterproof TVs into your bathroom or wet room. 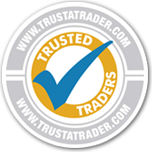 Being electrically qualified we can carry out the installation, test it and certify this work, giving you peace of mind. Again any other existing equipment can be integrated if required.